Spring Market at the Distillery - Coastal Bend Distilling, Co.
April 6th, 2019 // 9:00 a.m. - 2:00 p.m.
Spring Market at the Distillery is a community celebration in the Distillery Market series, featuring a free vendor fair, access to the distillery tasting room, and more. Vendors are hand-picked, representing the small businesses and artisans of South Texas. ​Food & drink (alcoholic & non-alcoholic) will be available for purchase. Parties interested in being a vendor must complete our application form and submit a registration fee by Friday, November 23rd. Applications will be accepted on a first-come-first-serve basis. Click the button to access our full vendor information sheet and application form. We look forward to seeing you at Holiday Market! Where is Spring Market at the Distillery? Holiday Market at the Distillery will be hosted in downtown Beeville, Texas, at the Grant Building at the Distillery. The Grant Building is located at 201 Madison Ave.
No. There is no entry fee for the the vendor market, the distillery tasting room, or any other daytime activities. What are the hours of the Spring Market? The market will be open Saturday morning at 9:00 a.m. and will conclude Saturday afternoon at 2:00 p.m. Visitors can park in the free city parking lot directly across from the Grant Building at the Distillery. What will the weather be like? How should I dress? Dress comfortably. The Grant Building at the Distillery is an historic building and does not have AC or heating. It's Texas and it can be cool, perfect, rainy or hot - so be sure to check the weather forecast for Beeville before you come! What else can we do while we're downtown? There are plenty of fun places to eat, shop and explore while visiting downtown Beeville. For a guide to all that Beeville has to offer check out the Bee County Chamber of Commerce website. ​Our historic Grant Building can only allow up to 200 persons inside at a time. If crowds push that number, our staff may ask you to wait outside briefly until enough guests have finished their shopping and left the premise. How do I learn more about this event? 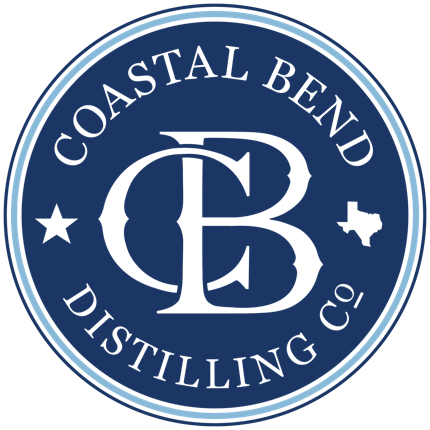 Be sure to follow @coastalbenddistilling and @grantbuildingbeeville on social media, and sign up for our email list! You can also view our Facebook event page here.